Will Dress Code Affect Your Right To Vote? In Pennsylvania, two Pittsburgh-area elections officials are suing to permit a dress code at polling places, after a Pennsylvania Department of State memo advised counties last month that voters' attire doesn't matter. In Virginia, where backers of both Barack Obama and John McCain are pushing for registration of college students in this battleground state, many students were wrongly advised by officials that registering could adversely affect their parents' taxes. In Michigan, campaign officials are suing to prevent lists of foreclosed homes being used to prevent voters from voting at their local precinct. And in Ohio, a legal skirmish over same-day registration and voting has not prevented thousands from casting absentee ballots a month before Election Day, even though they do not plan on being out of state come November 4. Across the country, voter registration leading up to a highly-anticipated presidential election has been up, but so are concerns that bureaucracy, misreadings of election law, or just plain stupid mistakes may cost many Americans their right to exercise their vote. No Shirt, No Shoes, No Vote? Pennsylvanian Sue Nace thought election volunteers were joking last spring when they told her she would have to remove her T-shirt to vote in the U.S. presidential primary. But it was no laughing matter to the poll workers-turned-fashion police, who said Nace's Barack Obama shirt was inappropriate electioneering - and made her cover the writing before casting a ballot. Now, a political fight over what voters can wear to the polls is headed to court in Pennsylvania - with the Republican Party favoring a dress code and Democrats opposed. Last month the state's highest election office issued a memo advising counties that voters' attire doesn't matter as long as the "voter takes no additional action to attempt to influence other voters." In their lawsuit, two election officials warn that, if the memo stands, "nothing would prevent a partisan group from synchronizing a battalion of like-minded individuals ... to descend on a polling place, presenting a domineering, united front, certain to dissuade the average citizen who may privately hold different beliefs." But because the memo is not legally binding, some counties have kept past restrictions on clothing and political buttons. Wearing a Palin or Obama T-shirt? You may be sent home. State Democratic Party Chairman T.J. Rooney said GOP support for the dress code is a partisan effort to scare away new voters. "To go (to the polls) and engage in an expression of democracy and then be accosted by the fashion police is a form of voter intimidation," he said. The state Republican Party says Democratic Gov. Ed Rendell's administration crafted a partisan memo that would open the door to abuses. "The first thing would be a button or a shirt, and maybe the next thing would be a musical hat," said GOP chairman Robert Gleason, who called a news conference in support of dress codes. Douglas Hill, head of Pennsylvania's association of county commissioners, believes the state's 67 counties are now evenly split on the question. Before the memo, counties leaned toward banning politically polarizing clothing and buttons because "they didn't want to get into fine-line disputes," he said. At least four states - Maine, Montana, Vermont and Kansas- explicitly prohibit wearing campaign buttons, stickers and badges inside polling places, according to the National Conference of State Legislatures and state officials. In Kentucky, elections officials last month told poll workers they should admit voters decked out in campaign apparel, after e-mails circulated warning that Obama supporters would be turned away if they wore shirts and pins. With memories of past election hassles, many are opting to vote by absentee ballot, to avoid long lines or questionable electronic voting machines. However, the process to obtain and submit an absentee ballot, while easier in some states, also has pitfalls. To obtain an absentee ballot, an absentee application form may be submitted. Because of a printing error on an application form sent out by the McCain campaign in several states, thousands of voters who requested absentees were rejected if the voter failed to check a box that needn't have been on the form in the first place. More stringent rules about checking the eligibility of voters means also that many registrations are rejected because the name or address on the form may not EXACTLY match the information on a person's driver's license or in another official database. If you registered as John Q. Public but your license reads JONATHAN Q. Public, you may be challenged at the polls - turned away or asked to fill out a provisional ballot that can be counted (or not) once the information can be verified. To check whether you are registered, there are online links to Web sites and phone numbers of local elections offices at CanIVote.org. There is also an online calendar of voter registration deadlines, state-by-state, at VotersUnite.org. Lost Your House, Lost Your Vote? Michigan election officials say they will remind local clerks that home foreclosure lists are not sufficient to challenge voting status. State elections director Chris Thomas said foreclosure lists alone aren't enough to contest a voter's residence. A person whose home is in the foreclosure process still could be living at the address on the foreclosure list. The notice could ease an ongoing flap about disputed allegations of possible challenges to Michigan voters in Macomb County, considered a possible key area in the presidential contest between Democrat Barack Obama and Republican John McCain. 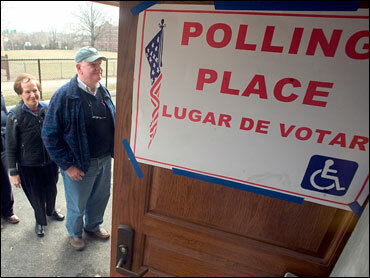 The Obama campaign filed a lawsuit to prevent the Michigan GOP from using foreclosure lists as a residency challenge. Marion County GOP Chairman Tom John told the Indianapolis Star that while his party has no plans to pursue such challenges, he wouldn't rule it out. "I think it would be a solid basis for asking someone to vote provisionally," John said. Old Enough To Vote, But Not Here? "The Code of Virginia states that a student must declare a legal residence in order to register. A legal residence can be either a student's permanent address from home or their current college residence. By making Montgomery County your permanent residence, you have declared your independence from your parents and can no longer be claimed as a dependent on their income tax filings." The statement also warned that students could lose their scholarships as the result of an address change. After the IRS disputed the tax claims, the official released another notice which clarified some aspects but still caused concern that students would not be allowed to vote, in part because of the vagaries of declaring an "abode" and a "domicile." Much of the confusion has since been cleared up, with a consensus by the state's elections offices that most students will be able to register and vote in Virginia as they wish. While Obama is leading among young voters - hence the Democratic Party's interest in bolstering the roles of new voters among students in this battleground state - backers of McCain are also supporting registration of students. The chancellor of Liberty University told the Associated Press he wanted to get the 10,500 students at the evangelical Christian college registered to vote in Lynchburg, Virginia. Jerry Falwell Jr., whose father founded the college in 1971, supports Republican John McCain and says, "If they register here, they're more likely to vote." But it's not just up to election officials whether you can vote; in some states, citizens can challenge the voting status of others. A report by Common Cause and the Century Foundation recounted an effort last year in Statesboro, Ga., to block hundreds of newly-registered students at Georgia Southern University from voting. The Statesboro Citizens for Good Government (composed of four residents) challenged the eligibility of approximately 900 students. City council members, claiming the students' registration could impact their parents' taxes, supported the effort. Even though voting rights advocates successfully fought back the challenges, the ugly led to over 60 percent of the registered voters not showing up at the polls, according to the Associated Press. Nationally, there are roughly 4 million released felons whose convictions have cost them the right to vote at least temporarily, if not permanently. To return to the ballot box, felons must negotiate suffrage laws that vary from state to state, in many cases working with election officials who can be both unfamiliar with the law and hostile to former convicts seeking to register. Nonprofit groups and individual activists making the push on felons' behalf agree the effort is broader this year than in previous elections, even if they aren't necessarily making a coordinated push. They expect that effort to benefit Barack Obama more than John McCain, given that the population of former felons is disproportionately black. Roughly 13 percent of black men nationwide have lost the right to vote, according to the Brennan Center for Justice at New York University's School of Law, which advocates the reform of felon voting rights. Black ministers, civic leaders and activists believe they are a rich source of votes for Obama. In Florida, where a new rule means more than 115,000 former felons who completed their sentences are now able to vote, civil rights attorney Reggie Mitchell said he's nonpartisan when he calls felons at home to give them information about registering to vote. But he also acknowledges the obvious. Blacks represent "about 40 percent of the people who've gotten their rights lost and restored," Mitchell said. "With an African-American running, and such a critical mass, this could have a tremendous impact." Kenneth Glasgow served 14 years on robbery and drug charges in Alabama. Now a pastor, Glasgow launched a voter registration drive inside the prisons in Alabama, where state law allows voting by felons convicted of lesser crimes such as possession of small amounts of drugs, battery or attempted burglary - even while still serving a sentence. "It's not a black-white thing," Glasgow said. "It's that people will see Republicans standing against having people's rights restored while the Democrats aren't." The state Department of Corrections halted Glasgow's registration drive after two days because of complaints from the chairman of the Alabama Republican Party that registering inmates without adequate monitoring could lead to voter fraud. Fewer than 80 inmates filled out registration forms. The NAACP Legal Defense Fund has filed suit challenging the prison commissioner's decision to stop the registration drive. Only two states - Maine and Vermont - place no limits on voting due to a criminal conviction; even prison inmates can cast a ballot. Kentucky and Virginia are the only two states that permanently bar felons from voting, although the governors of those states can restore voting rights to individuals. Kentucky Gov. Steve Beshear streamlined the process in March, and has since restored the rights of more than 740 released convicts. Virginia Gov. Timothy M. Kaine promised to fast-track applications for voter restoration that his office received by Aug. 1, adding three people to his staff to process applications before Monday's registration deadline. Applications in Virginia jumped from 76 for all of July 2007 to 138 in a single week this summer. Kaine, the governor for nearly three years, had restored the rights of 2,633 felons as of Monday, according to his spokesman, Gordon Hickey. Laws in the other 46 states are varied, according to the Brennan Center. Eight states permanently bar felons convicted of certain crimes from voting, while the others restore the right after a sentence is completed, including parole, or as soon as an inmate is released from prison. The ACLU, the NAACP and others support a nationwide standard that would restore voting rights to all inmates once they leave prison. "Once a single local election official misinforms a citizen that he is not eligible to vote because of a past conviction, it is unlikely that citizen will ever follow up or make a second inquiry," the ACLU and Brennan Center report said. "The citizen will mistakenly believe that he is ineligible to vote for years, decades, or maybe the rest of his life."